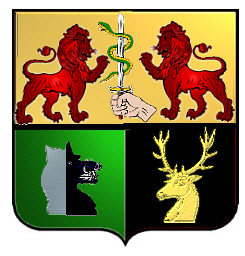 Coat of Arms: Gold with a green and black base and two red lions supporting a hand holding a sword on which there is an entwined serpent, at the left base there is a gold stag and in the right base there is a wild boar counterchanged silver and black. 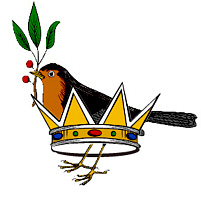 Crest: A robin with a sprig of laurel emerging from a crown. Motto: Lamh foisdineach an nachter. 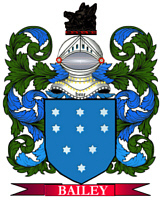 Motto Translated: What we gain by conquest we secure by clemency.